These are not only fun to make, they are also extremely fun to play with. Your kids will be able to play with them in a tub of water or have a sailboat race in the nearby stream. 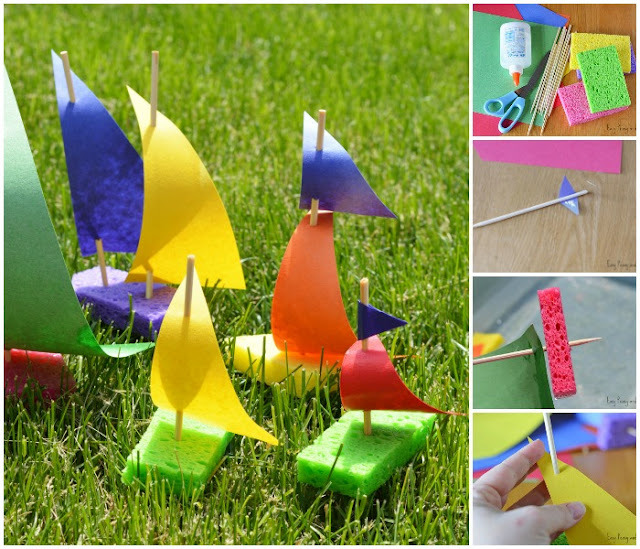 Sponges -Used Ocelo brand, and they were 4.5" x 3" x 1/2"
See how to make these Sponge Sailboats at link below..